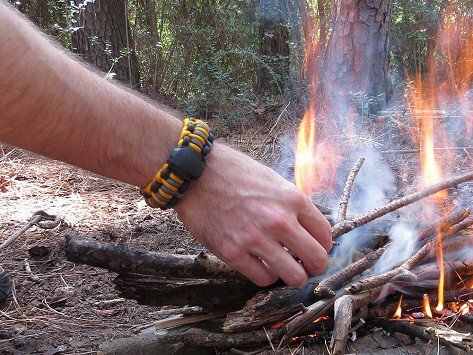 The Wazoo survival bracelet: A great gift idea. Whether you’re buying this bracelet for yourself or as a gift, you can be sure that it’s a fabulous idea that can actually save lives in an emergency. Furthermore, I think it looks terrific. 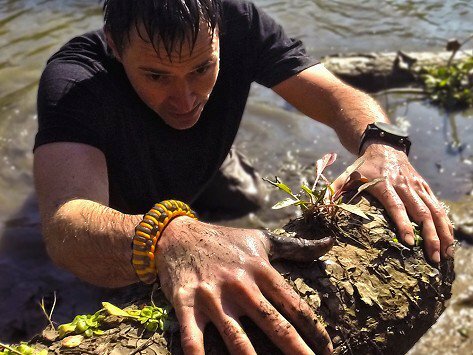 Survival bracelets – which contain just about everything you need in emergency situations – have been around for a while but the one made by Wazoo is without doubt the best. And it’s also made in America. 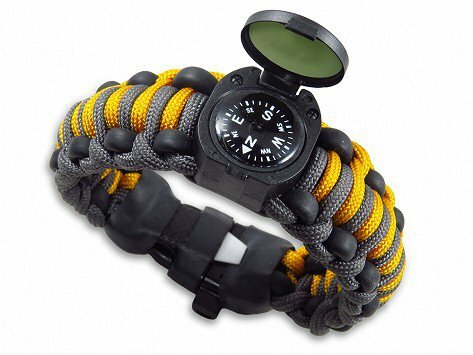 The bracelet itself is made of paracord which, as the name suggests, is a strong but lightweight cord that’s used for parachutes. That in itself can be useful but the genius lies in the tools that are hidden within it. None of us know when we are going to find ourselves in emergency situations although the bracelet is perfect for anyone who spends time in the countryside — where these tools can really come into their own. As you can see above, many of the items within the bracelet have multiple uses. 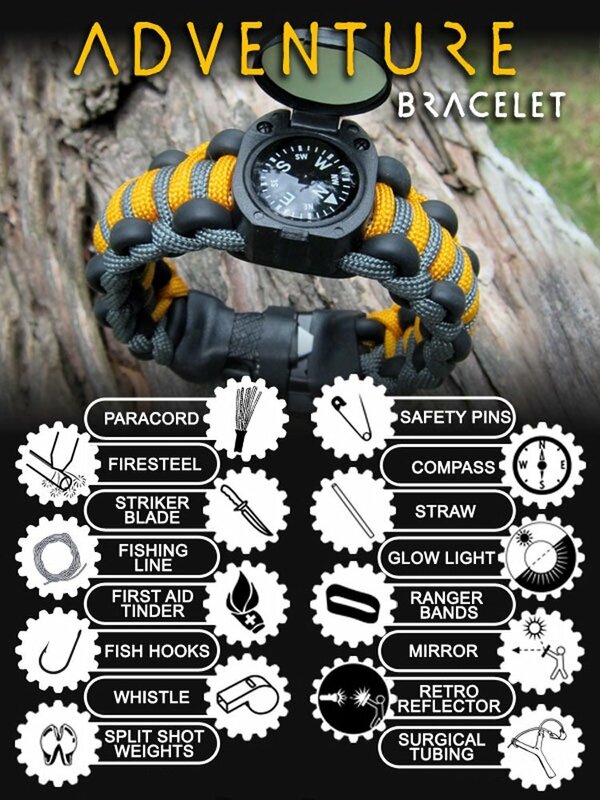 And remember that you’ve got the tough paracord with you too that can help you in so many ways. (Robinson Crusoe would have set up his shelter and been enjoying a fresh fish meal in no time with one of these). 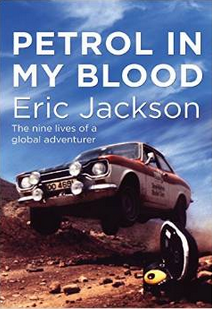 These were developed by people who are themselves adventurers and who are also involved in search and rescue. Meet them in the video below.